It’s so much fun when other people hit the “like” button on my Feng Shui By Fishgirl Blog because then I am made aware of their website or blogs, too. That’s how I recently discovered re:loom rugs on Polly Hoyt Nance’s blog. 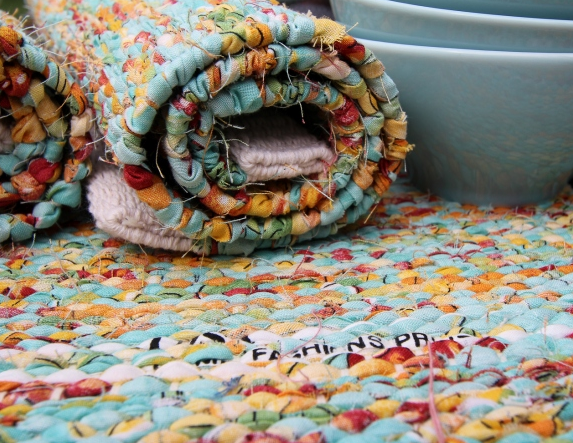 These wonderful, colorful rag style rugs are made by homeless and low-income individuals from upcycled materials. Proceeds support weavers’ salaries and the Initiative For Affordable House to reduce homelessness in Georgia. Repurposing AND supporting good causes like re:loom = good feng shui and make a useful gift as well. Don’t you think this is a great way to celebrate the holidays? This is really a very nice blog.It is very interesting to read.